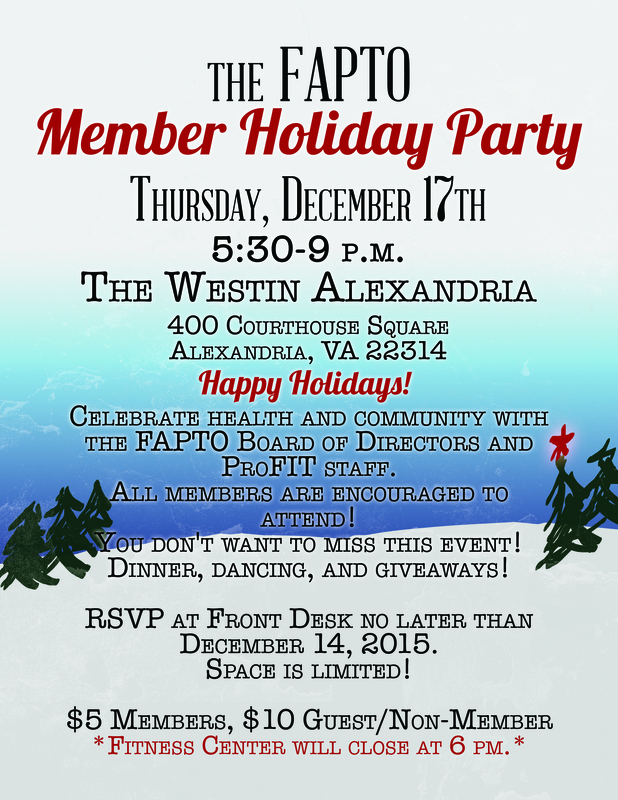 Celebrate health and community with the FAPTO Board of Directors and ProFIT staff. All members are encouraged to attend! You don’t want to miss this event! Dinner, dancing, and giveaways! 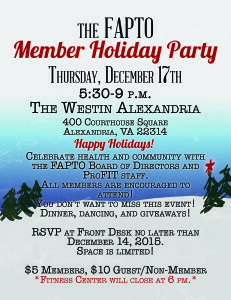 RSVP at the Front Desk no later than December 14, 2015. The Fitness Center will close at 6pm.